💥💥💥BREAKOUT BANISHING BUTTER | Organic Butters + Oils Reduce Breakouts + Ingrown Hairs + Appearance Of Cellulite + Unclog PoresReduce the appearance of Redness; with Sweet Birch + Alpha Hydroxy Fruit Acids + Organic Hemp Seed Oil. Smells Great! Fresh, slightly minty, great for all ages.Some days I am too busy for seven steps, I just want to take a shower, moisturize, and go! Unfortunately, my skin does not always cooperate. I have blemishes, uneven skin tone, patches of dry skin, irritation from shaving, and hard water that require me to apply some type of moisturizer or oil post-shower. I wanted to combine all the different products I was using, or really not using, in one jar. I also don't like my skin to feel "oily" after application. SUMMER MELT WARNING | This will melt in shipping during warm months. If this is an issue for you, head on over to the Manuka + AHA Breakout Banishing Liquid Body Butter, made with all the same actives in a super light oil base! Made without oils that can clog pores, like Coconut, Sweet Almond, and Cocoa Butter. Made without preservatives, so clean, you could eat it in a zombie apocalypse...but please, don't (unless of course the zombie thing happens...) No filler oils, Organic Shea Butter offers structure, without wax, while Maracuja + Sach Inchi + Hemp work to nourish skin and reduce inflammation and free radicals. This butter has the perfect mix of essential oils + Alpha-Hydroxy fruit extracts +Organic Willow Bark to unclog pores + reduce redness + leave skin supple. It also smells nice. This is a concentrated treatment, meant to be used anywhere you struggle with breakouts, ingrown hairs, or general uneven tone and texture. I use this on my face, chest, bum, and legs. This is not just for breakouts, but anyone who has trouble with itchy or flaky skin as well as signs of aging. Let me be honest, anyone who has skin can use this. This butter is so nourishing yet fast absorbing that everyone will love it. This is ideal as a last step at night or before SPF, even great (sparingly) under makeup. A body butter that not only is made with non-comedogenic oils, but also smells fresh and light and helps heal and prevent breakouts! Whaaaaaaat? Alpha Hydroxy Acids help soften skin and even tone + texture. Great for all skin types! Especially OILY! Organic Hemp Seed Oil is light + packed with Omega Fatty Acids + Minerals + Soothing. Organic Hemp Seed Oil is anti-inflammatory, helping to calm redness and irritation quickly. Organic Sacha Inchi + Organic Maracuaja are both rich in Omega Fatty Acids, specifically Linoleic, making them anti-inflammatory as well as soothing for breakouts and dehydrated skin. 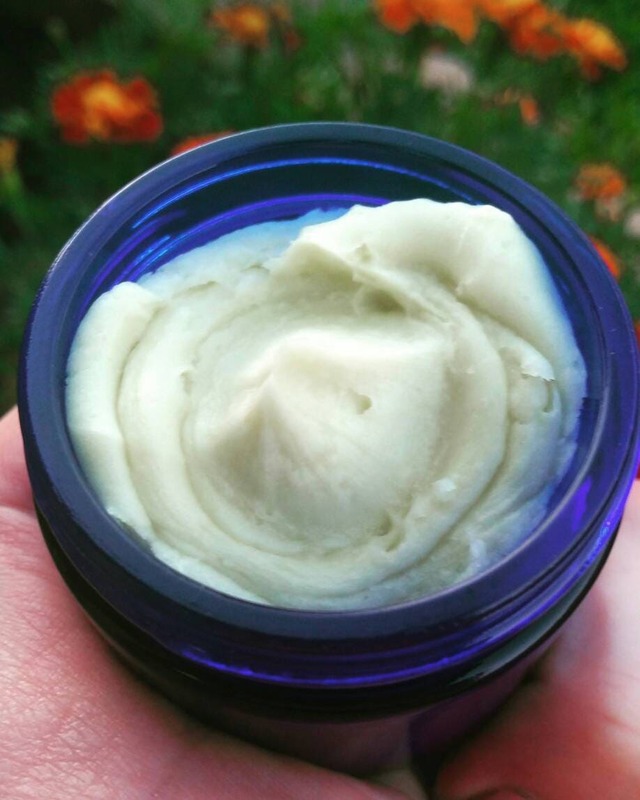 Organic Shea Butter is thick, yet won’t clog pores. Full of Vitamin A + Keeps Skin Nourished All Day. Organic Tamanu used for centuries for skin abrasions and inflammation. Essential Oils fight breakouts + Smell fresh! Alpha Hydroxy Acids speed cell turnover and even tone. Willow Bark is rich in natural Salicylic Acid and helps to unclog blocked pores and keep them clear. It has all the benefits of the traditional salicylic acid, but not of the irritation. Fermented Willow Bark is even easier for your body to use and quickly reduces inflammation. Smooth Whipped Butter + In Summer May Melt, simply refrigerate 20 minutes, and then allow to reach room temperature, then fluff with fork. --- Feel free to message me for more direction. *Shea Butter,*^Sacha Inchi, *^Maracuja, *^Hemp Seed Oil, *Sunflower Oil, *Manuka Oil, Vaccinium Myrtillus Fruit/Leaf Extract & Saccharum Officinarum (Sugar Cane) Extract & Citrus Aurantium Dulcis (Orange) Fruit Extract & Citrus Limon (Lemon) Fruit Extract & Acer Saccharum (Sugar Maple) Extract, *Willow Bark, Rosemary Extract, *Tamanu Oil, *Sea Buckthorn, and Essential Oils. 1 Year from opening, stored cool and out of direct sunlight. Massage into damp or dry skin 1 - 2 times per day. Be sure to use a good body scrub (even a DIY with Organic Hemp Seed Oil and Sugar) once or twice a week. When using products with AHA your skin is more susceptible to sun damage, while (in my opinion) you should be wearing SPF every day to protect your skin, be especially diligent after applying an AHA product. Amazing  - Liz B. This stuff is luxury at its finest!!!! Best body butter out, and the smell is delicious. 2nd order, can't get enough. – Aiyme H.
Thank you! As always amazing product! I Looovee the texture of this body butter. It's perfectly whipped. it's airy yet holds weight that you only need so little to apply on your skin. I've tried this body butter in the Fruity scent which I like better. I'm gonna be purchasing the biggest size of the Feeling Fruity body butter soon. Jerra is the loveliest seller ever who cares about her customers and her products are always of the highest quality. I've been a fan since my first purchase. Thank you so much!! !